↑ O’Hare, Kate (November 18, 2008). 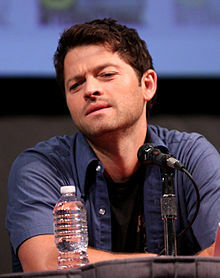 "Misha Collins Is 'Supernatural’s' Dark Angel. Zap2it. Retrieved on 2009-04-08. ↑ Writer: Ben Edlund, Director: Phil Sgriccia (November 19, 2009). «Abandon All Hope...». Supernatural. Season 5. Episode 10. CW. ↑ TV.com staff (December 15, 2008).«TV.com Top Ten: Best new supporting characters of 2008» Retrieved on 2009-04-08. ↑ «TV Squad Ten: Reasons you should watch Supernatural». TV Squad. January 21st, 2009. Retrieved on 2009-04-08. ↑ Peterson, Karla (September 27, 2008). «Trackback: Karla Peterson». The San Diego Union-Tribune. Retrieved on 2009-04-09. ↑ «Supernatural Review: Episode 4.20 The Rapture — Does Dean Winchester Dream of Electric Sheep?». Firefox. May 2nd, 2009. Retrieved on 2009-05-03. 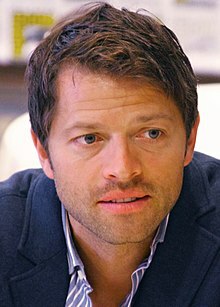 Reed, M R Hollywood Insider:Supernatural’s Angel of Thursday – Chatting with Misha Collins About Castiel. Eclipse Magazine (September 25, 2008). O’Hare, Kate (November 18, 2008). "Misha Collins Is 'Supernatural’s' Dark Angel. Zap2it. Retrieved on 2009-04-08.